Beebe Healthcare announces the appointment of Joseph DeRanieri, DM, MSN, RN, BCECR, as the Executive Director of Orthopaedic Services at Beebe Healthcare. In this role, Dr. DeRanieri will coordinate and lead the development of strategies, growth of the clinical enterprise, network affiliations, as well as integration of orthopedic programs across the health system. Dr. DeRanieri completed the Doctorate of Management program at the Institute for Advanced Studies and Colorado Technical University in 2008. He earned a Master of Science degree in Nursing at Wilmington University, and completed his nursing degree at Thomas Jefferson University. He holds a Bachelor of Science degree in Finance/Health Care Administration and an Associate’s Degree in Liberal Arts, both from New York University. 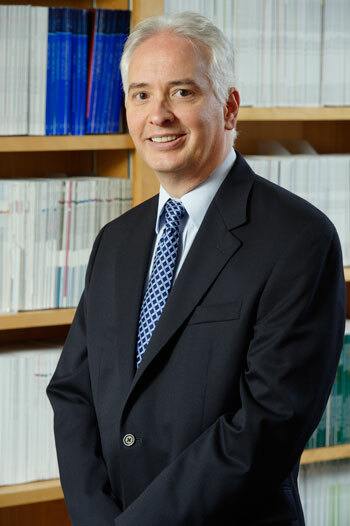 Prior to joining the Beebe team, Dr. DeRanieri was an Assistant Professor at the University of Delaware where he served as the Coordinator of the Graduate Health Services Administration, and as a Financial Consultant for the Nurse Managed Health Care Center in Newark, Del. Starting in 2010, he collaborated with Beebe Healthcare leaders to test the effects of a community-based exercise program on the function of stroke survivors and individuals with Parkinson’s disease. Dr. DeRanieri has been published numerous times on a broad variety of healthcare topics, including a recent collaborative article on emergency preparedness published in Procedia – Social and Behavioral Sciences in 2015. He is board certified by the American Academy of Traumatic Stress as an Expert in Emergency Crisis Response; he formerly was certified by Pediatric Nursing Certification Board as a Certified Pediatric Nurse; and certified by Securities Exchange Commission as a Registered Investment Adviser. His past experience includes: Working as an Assistant Professor at Thomas Jefferson University in Philadelphia; Adjunct Faculty at Salem Community College in New Jersey; Trauma Response Specialist and Chief Financial Officer at Cope Consultants in Bear, Del. ; and Nurse Administrator at The Layton Home in Wilmington, Del.